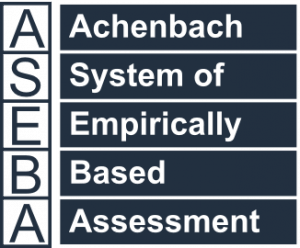 The ASEBA approach is especially good for multicultural research. Comprising specific problem items that can be rated by different informants without specialized training, ASEBA instruments can be easily used in diverse societies. Because mental-health professionals are not needed to administer most ASEBA forms, these forms are used for epidemiological surveys, clinical assessment, outcome evaluations, and research in many societies. There are translations in over 100 languages and thousands of published reports of ASEBA use in over 100 cultures. In addition to the many publications reporting use of ASEBA forms within particular societies, numerous multicultural comparisons of ASEBA findings have been published. The first such comparisons were made between epidemiological samples of randomly selected Dutch and U.S. children who were rated on the CBCL and TRF. The Dutch data were obtained by Dr. Frank Verhulst, who is Professor and Director of Child and Adolescent Psychiatry at Erasmus University and Sophia Children’s Hospital in Rotterdam and former editor-in-chief of the Journal of Child Psychology and Psychiatry. The comparisons showed that Dutch children’s problem scale scores were nearly identical to American children’s scores on both the CBCL and TRF (Achenbach, Verhulst, Baron, & Akkerhuis, 1987; Achenbach, Verhulst, Edelbrock, Baron, & Akkerhuis, 1987). Dr. Verhulst and his colleagues have subsequently published hundreds of studies using Dutch translations of ASEBA instruments. Subsequent studies by Dr. Leslie Rescorla and colleagues from dozens of societies have analyzed tens of thousands of CBCLs, C-TRFs, TRFs, YSRs, ASRs, and ABCLs from many societies (Rescorla et al., 2012). The analyses included multicultural comparisons of scores on the syndrome, DSM-oriented, Internalizing, Externalizing, and Total Problems scales, age/gender effects, and correlations between mean item scores for every pair of societies. Dr. Masha Ivanova and the same international team have tested ASEBA syndrome structures by performing confirmatory factor analyses (CFAs) on CBCLs, C-TRFs, TRFs, YSRs, ASRs, and ABCLs used in Dr. Rescorla’s 2012 studies. The data from all societies analyzed were found to fit the ASEBA syndrome structures. An integrative overview of multicultural findings from both the empirically based and diagnostically based approaches is available in Multicultural Understanding of Child and Adolescent Psychopathology: Implications for Mental Health Assessment. The Bibliography of Published Studies Using the ASEBA lists some 3,000 publications under the “cross-cultural/multicultural” keyword.